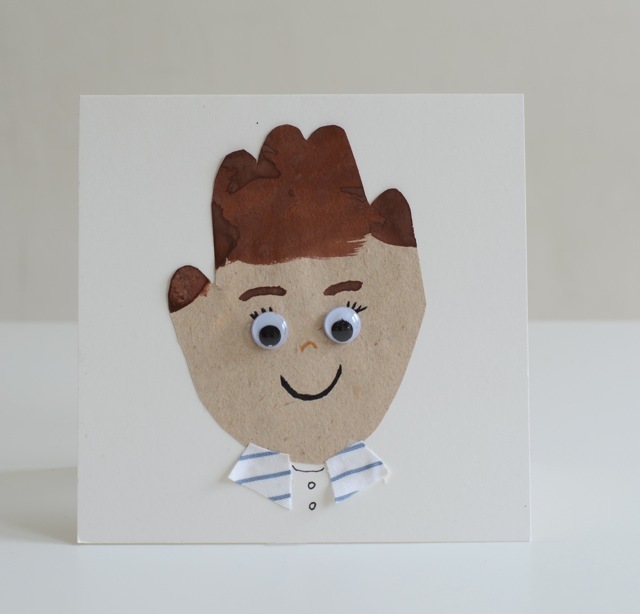 - To make this Handprint Card, we traced our youngest son's hand with his fingers held tightly together onto craft paper. - We cut out handprint. - Decorated the handprint and attached to card.